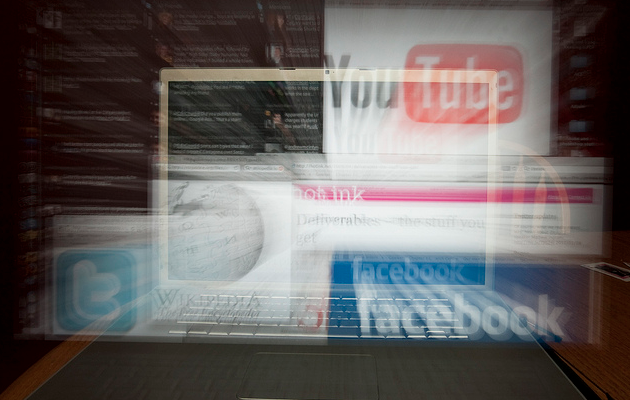 Facebook, YouTube, and Twitter are where people are at online. They are the social media hangouts of our time. Someday my daughter will laugh I ever tweeted in much the same way I laugh at my parents for still using CDs. But right now that’s where people are at. Jesus tells us to go. That means out in our neighborhoods, our community, and (now) the online world of social media. This is a great time to be alive! I remember being in Children’s Ministry as a kid back in the 80s. We’d get flyers where the leaders would cut clip art out of magazines, paste them on flyers, and run them through the copier. I don’t say that to criticize. That’s all there was at the time. Now you can pull super cool and professional graphics from iStockPhoto.com, create a Facebook event, and within minutes everyone in your church has all the details about your next big event. And the best part is it’s FREE!!! Don’t get me wrong. It’s still work. People still miss details. That’s always going to happen. There’s no app for that (unfortunately). But it is easier and cheaper than ever before to get the word out in a professional, cool, and timely way. Sharing and retweeting is super easy to do. It doesn’t take much for something to go viral. Getting the word out is a lot easier than stuffing hundreds of envelopes and spending hours canvasing the neighborhood. A lot of it can be done from the comfort of your home while watching Netflix in your pajamas. Keeping younger families in church today is getting harder. We don’t help ourselves by using methods on 20 and 30-somethings now that we were using with them when they were kids. I know I’d prefer a text or a blog post over a flyer any day. There’s very little paper in my world and that isn’t going to change anytime soon. This is one of my favorites. You can record a short training video for your team, post it to YouTube, and email your volunteers the link. It saves everyone time from attending a meeting that no one wants to go to anyway. It also increases the odds of actually getting the information if you present it in a way they like and can listen to on their time. And best of all, it’s totally free! Twitter has taught us short and simple is powerful. In a world that is getting increasingly complicated short and simple is in. Character limits on Facebook and Twitter help you get to the point without seeming rude. Social media is a great way to stay connected to the parents and leaders in our ministries. I don’t know how we should approach it with children, but I do know we need to start talking about it. Texting, posting, and tweeting can never replace quality time in the real world but it is another resource in our tool belt to impact people with the love of Jesus. Click here for 20 Kidmin Social Media Tips.